After spending some time overseas in Philippines with family this past November, I also took some time to work with a few local restaurant chefs to deepen my love of Filipino culture and cuisine. 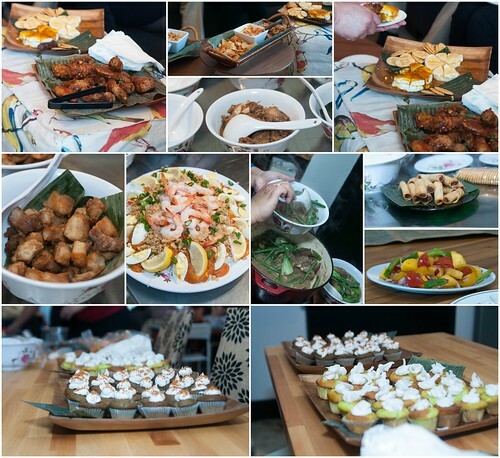 As a result, I recently hosted a special 'pop up' dinner highlighting some of the most popular Filipino dishes. 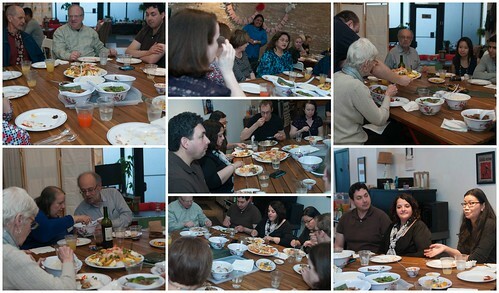 It was the first pop up dinner I hosted in years... and I remember how much fun it was! So many family and friends came out to support me and I'm so thankful for their willingness to learn about the Filipino culture through food. Because of the amazing response to the dinner, I'm hosting another one for the summer months. In June, we're having a 'kamayan' in which the presentation of the meal will be unlike any other! For this dinner, the tables will be lined with banana leaves. A river of garlic fried rice will flow down the middle of the table and the following menu will be served on top... and then we eat! 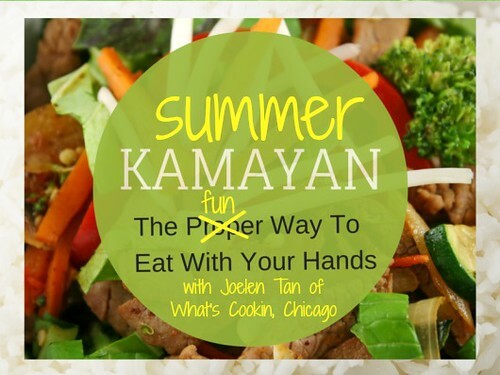 Guests will be shown/taught how to 'kamay', or eat with their hands in the traditional Filipino style. The summer menu is a bit different than our spring menu in that it is more reflective of summer dishes and popular street foods. The menu items for summer include foods that are easy to eat by hand without the use of any utensils... besides, it's more fun to eat with your hands! It's a fun and tasty event we're looking forward to hosting - get more details and/or sign up HERE!